Take Off Your Superman Cape and Become Human Again! 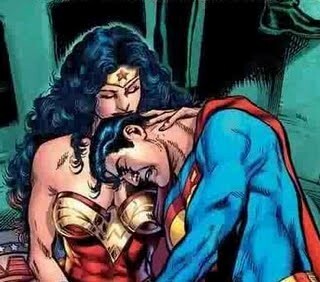 Do you believe that you have to go through life as a superman or superwoman? Have you always felt that you had to be the best at everything? If so then you are like many people who go through life constantly trying to get better and be the best. Everything they do has to be outstanding – and yet it is never good enough! I have gone through all of my life trying to be good at everything and I am definitely a perfectionist. For example it took me 6 weeks to launch the new design of my blog whereas it could have been done in a day! Where do we get this drive to be superhuman from? The reason some of us strive to be superhuman is that we are forever living up to the expectations of those key people in our life. From a young age, it is mainly our parents who set our expectations – ultimately whatever we do is never good enough. Though our parents usually just want us to be happy, there is often subtle pressure and at other times blatant demands. We then go through the rest of our lives trying to live up to their expectations and seek their approval. Others in our life who set their high expectations are our siblings, school teachers and even extended family members. There are also some peer groups such as work colleagues who constantly expect you to perform miracles. The hardest thing of all this is that you are never really able to show your vulnerability as that would break through your thick veneer of being so capable and superhuman. As a result, a lot of people, especially the super-achieving types go through life closed off from expressing their true emotions and never really showing their true human side. 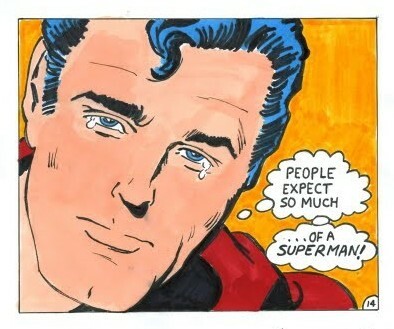 As a friend said to me recently, even Superman had a vulnerable side. The moment he took off his cape, he needed close human contact just like us mortals. Despite his prowess, he too had the need for being comforted, loved and being intimate. If you are a superman or superwoman, what is the cost to you of striving so much for being really good at everything you do? What would it be like to take off your superman cape once in a while, or even forever? From the Indian culture I come from, it is not generally encouraged to show your emotions, especially if you are a man. Yet if you have ever watched Bollywood movies, you will know just how melodramatic they can be and how the superheroes quite often get so emotionally dramatic! Maybe the Bollywood movies simply allow Indians to indirectly express their emotions. Ironically, on those occasions I have allowed myself to be vulnerable, I have been the most fulfilled and grounded. It is really amazing what happens when you are simply being authentic. The reason is at the end of the day we are all human – underneath all the facades, we all have the same hopes, dreams and challenges. When we see another human being opening themselves up and being vulnerable, it stirs something deep in us and we get to connect at a human level. Those times when you allow yourself to be open and vulnerable are the times when you will feel most alive, authentic and grounded. Isn’t that what we all want at the end of the day anyway? 1. Reflect on your life and see where you are trying to be superhuman. 2. Ask your self what you are trying to prove or who you are trying to please? Whose approval are you seeking? 3. Now let go of that need to please or seek approval. Feel a huge load lifted from your shoulders. Feel the freedom and ease that comes with no longer having to prove anything to anyone. Enjoy this sense of just being and free – know what it is like to be vulnerable and to be yourself. Arvind, this is so important. Especially for all people who describe themselves as achievers. And I am the first to raise my hand and state, that I fall into that category. Yet it’s not my parents who demanded much of me (I managed to do so alone) – yes the even were relieved when I got into a crisis in school and weren’t coming home with straight A’s. Yes they liked me being a good student, but they always told me not to demand too much from me. But it took lots of years, overwork and some hard cuts in my life to realize that I don’t have to prove anything to anyone. Not even me (now this was the hardest part to swallow). Now I am much more relaxed with doing good work that I feel good about when it is not perfect. Although of course some times that character trait returns just to test me. So – Superman, Clark Kent as well as Lex Luthor are all parts of our inner self. 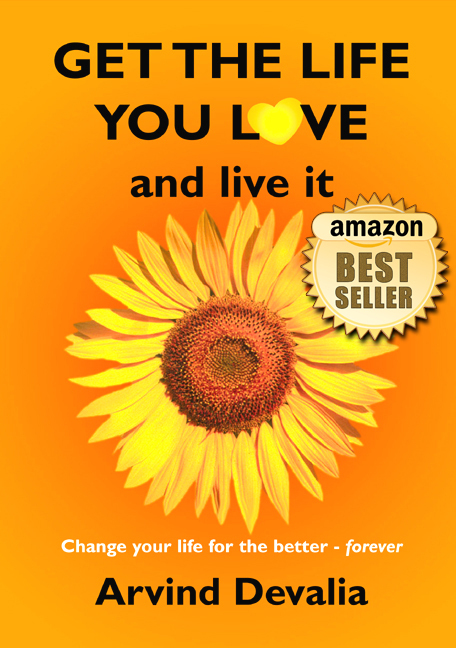 Patrick, yes so true of so called achievers – and I too raise my hand as I fall into category. Now I am quickly learning that I actually don’t have to prove anything to anyone – I can look back on my life and the ups and downs and say to myself that I have done well – I just need to learn to relax! For the best part I agree with Arvind in that a lot of what we do as adults have their roots in our childhood relationships. Its all about reward. For a child that reward is usually love. Love means being nurtured, sheltered and most of all that we matter. The oposite of that is abandonment e.g physical or emotional or both. The stakes are high for an upwardly achieving child. For me it was not academics. My father is 86 years. I walk with him, care for him but I have never felt loved by him. He was critical. I did cart loops for his attention but nothing worked. So many examples, wont bore you. Alas as an adult I was able to see inside of him and inside of me. I can now say I love him. Most of us are teriffied to reveal our weaknesses. The risks of rejection are huge. It has been my experience that our very vulnerableness is what endears us to others. If we are highly achieving and self critical (Type A charicteristics), then it stands to reason we will have equal expectations of others. Sounds scary and exhausting. Achievement with a heartfelt purpose is always desirable, makes us happy and allows those around us to be human. Apologies for my verbosity. I am a woman – scientific fact that we use more words than men. Viva la difference! Fiona, as usual your zany yet heartfelt comments have brought a smile or two! I am sure your father loves you in his own way – he is just not able to express his love the way you would like him too. I too felt the same about my late father – yet two years after he left us, I can really feel his love for me and I know it will always be there. I guess he too was terrified to show his perceived weaknesses i.e. true feelings for us. It was only after he passed away that I learnt more about his chidlhood and how he had lost his own father at the age of 7. You make a great point about how high achieving and self critical people having equally high expectations of others. I hold up my hand here and I can confirm that it is so tiring. I guess all part of my journey to have that self-awareness. Arvind, I think you struck gold, when you acknowledged the early passing of your dad’s father, and its possible effects on him. I acknowledged as an adult, that my father lost his 2 little sisters (5 and 7 years in one week) amongst other losses. It would seem for me at least, when I stopped looking at my father as my “father, ” and instead viewed him as a human being, struggling with the best of human experience he had gathered, to do his best. It is as you often say about seeing the “good” and disregarding the rest in others. Your father, like mine “did his best”. That’s all that counts. It is usually remote people (e.g. my father) that have a greater need for love than those that can show it freely. Being “not pefect” allows others to come close to us, as they know we won’t judge. Thanks Fiona, as you say the more “remote” or even “cold” a person appears, greater their need for love. If we saw every person we meet from this perspective, our world wound instantaneously transform! Everyone is doing hte best they can at that particular time. It’s all about the expectations. Understanding what you expect, of yourself, and why. Takes a long time to gain that understanding, I think. LPC, I guess that is what makes our life journey so exciting – gaining that understanding over time about just what you expect of yourself and why. I am slowly reframing my own perfectionism away from wanting to prove myself to others and towards to simply wanting to do things well and to the best of my ability. Arvind, I glad you wrote about this important topic, since all (or nearly all) of us have grown up with some expectations about achieving success. Mostly, the pressure is from the culture in which we grew up or from our parents or a combination (since generally our parents were raised in the same culture). As a child, I experienced strong pressure to succeed academically, and, as a result, I’m still too hard on myself, too much a perfectionist. Many women my age, however, were raised to expect that they shouldn’t excel too much or something dreadful would happen–boys would not like them and wouldn’t ask them out. They’d end up as loveless, childless old maids. (A slight exaggeration on my part, but only slight.) You suggest a healthy middle ground between the extremes. Well done! Madeleine, you make a great point about different expectations placed on women compared to men and also the cultural differences. Coming from an Indian background, I know how so much is expected from the boys and so little from the girls. However that is all changing rapidly as more and more women all around the world excel in their chosen fields. Amazing article… Thank you very much. You are right we spend years and years trying to please others by becoming superhuman, but by the end of the day, we feel inside of us that we aren’t pleasing ourselves. I wish people would stop asking for perfection and concentrate on the beauty that we all have inside of us. Zeina, glad you liked the article. Yes, let us focus on the beauty within us and others, rather than looking for perfection which is just not possible. Sometimes it really is much harder to let yourself rest, but you need to. Resting for the next battle is part of being a good warrior. Justin, I have never been much to rest but have got a lot better over the last few years. I like the analogy of the good warrior resting for the next battle. That is just what I will be doing over Xmas and getting ready for 2010. So much of this resonated with me… I’m learning to flow more with life and resist the need and the expectation in this goal obessed world to achieve achieve achieve… after years of doing so, im done ! There is so much inner peace that comes from releasing our own expecations and letting joy flow in – thats the meaning of life ultimately – to feel bliss & joy huh ? Shilpa, you are not the only one! I too am learning to flow more with life and giving up this obsession to do more. I can feel that bliss and joy already:-). Thank you for your email. Yes I do believe that we have been instructed not only at home but more so at school by our teachers to do our best. In my case it was my Irish principal who always said ‘there is always room for improvement’. Somehow those words have been well penetrated in me and I never forget them. It would be nice to just let go and live with the flow for once. Even my doctor said I was always in a hurry, dashing from one place to the other, trying to do too much in too short a time. I need to wind down a bit – moreso now that we are all getting old. Let the young ones do the running I say! I was amused to watch the Bollywood films on U Tube. How Indian dancing has changed to become more westernised! Of course I have forgotten the Hindi and was reading the sub-titles! Thanks again. Anne, I am going to India over Xmas and it will interesting to see how the land of Bollywood has changed!